Ciutat Vella is translated from Catalan as “Old City.” In the district of Barcelona, it is district number one. It holds over 100,000 people, and is over four square kilometers in size. The streets are small, winding, and labyrinthine in places, and many are very picturesque. The streets are full of surprises, especially in the morning when it is quiet, and in the late morning when the streets explode with crowds of people. Many of the areas have a historic feel and atmosphere about them, and tourists often fall in love with the Gothic quarter. Within Ciutat Vella, there are four administrative districts. 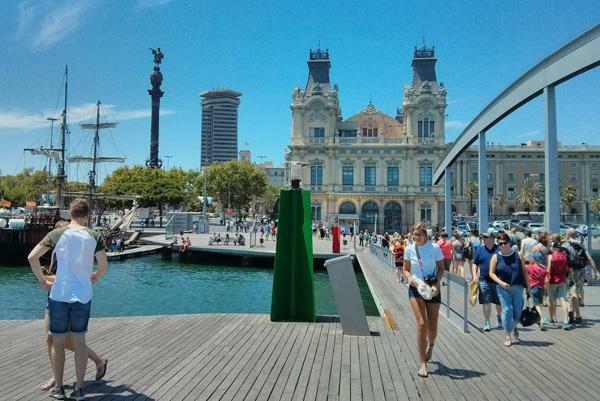 La Barceloneta was constructed during the 18th century as a home for the displaced population of the Ribera neighborhood. It has the Mediterranean Sea on its border. The district’s border forms a rough triangle, and it has its own flag. El Gòtic is known as the Gothic quarter, and it is in the centre of Ciutat Vella. Some of the buildings date back to the medieval era, and the city planners have maintained the old labyrinthine street plan. El Raval is the area closest to the port, and some people know it as the Barcelonian China town. The population’s ethnicity is very mixed, and this part of the city has become a minor attraction because of it.